A VDGG album with tracks on it less than 3 minutes long? This should irk the purists somewhat. Well not really, as they are back with bang! Hammill, Banton and Evans return after a three year break and are in fine form indeed. This is a marvellous album – in some ways a distillation of what has gone before in the history of this band, but in other ways a look forward. In the first four numbers you have to contend with such a degree of variety that you begin to wonder what the hell is going on. “Your time starts now” is almost Still Life territory – a strident Hammill ballad, “Mathematics” is similar but offers that trademark busy VDGG sound and the unique PH lyrical content . “Highly Strung” ups the tempo with a rocker which would not have been out of place around the time of Vital. Peter is especially good vocally on this adding that manic tone to his voice which singles him out as one our greatest rock singers. Things then start to stretch into something new with the ambient spacey improv feel of “Red Baron” and then we are back to signature Graaf with the stunning “Bunsho” with classic riffing, sturm und drang, and the light and shade of their complex arrangements. “Snake Oil” moves almost breathlessly through complex keyboard parts, rich lyrics, and those quirky off kilter time signatures that we know and love. Hammill is vocally very strong, Evans is a master of his kit and Banton provides his usual excellent and eclectic range of sounds. The density of the riffing here is back to VDGG at their best, the arrangements are both complex and progressive (in the true sense of the word), they have managed to capture the heart of their oeuvre and add a 21st century feel, in that where it would have taken them ten minutes to do a song like this in the past, they knock it off in just over five. This is true of the whole of the album which takes the best of what they have done in former work and make it new and fresh. “Splink” floats is a gorgeous ambient haze over Guys’ busy drumming as Peter and Hugh trade sounds between guitar, organ, piano and other keyboards until a clockwork harpsichord like serial-ism kicks in to disturb the quietness. Ricky Nadir is back for “Embarrassing Kid” both garage rock and progressive riffing bundled up in one tight song, the poly-rhythmic interplay between guitar riffs and drums is stunning – music for the noggin and not the pogo gene – bloody marvelous! And frankly i cannot fathom how much can be shoved into a song just over three minutes long. The mood shifts again with “Medusa” which waltzes along with unbridled menace almost slipping into a John Barry sound-scape, well I think its a waltz, but I gave up trying to fathom VDGG time signatures 35 years ago – therein lies madness! It moves seamlessly into the busy Banton led “Mr Sands” which again takes us back to the classic Van Der Graaf riff/melody approach. “Smoke” is playfully funky and a great new sound for the band with a mad clash of words a mutant blues feel – almost early Bowiesque in parts – and again demonstrates the level of variety on the album – utterly modern but also demonstrating a degree of reverence to the bands previous output. A trademark of the album is one tune morphing into the next and this happens again with the maddeningly complex “5533” as guitar and drums again interlock as Banton provides waves of sonic complexity to make it even more busy. This is what I like best about this group of musicians in that they can deliver something which is both incredibly unique and also strangely familiar. The album concludes with the longest track (at 6:03) in “All Over The Place” whose insistent riff/breakdown builds from the strident Hammill polemic into a glorious piece of melodramatic (in a nice way) progressive rock – a great way to finish a fantastic album. I’m glad they got back together – I wondered what would happen when David Jackson departed the band and I have to say I was vaguely disappointed with Trisector however this album demonstrates they’ve still got the Van Der Graaf sound and have moved it on several dozen levels. I’m inevitably and unapologetically biased about this band – they are the only group from their era who didn’t lose the plot and go off into self-absorbed nonsense – so please take that into account. If you’ve never been able to get what they are about I doubt this will do much to convert you. If however you enjoy complex music delivered with more than a small portion of humour and joyful abandon then you are in for a treat – this wipes the floor with the vast majority of shoe-gazing post-rockers out there, and lessons can be learned by a lot of musicians about how to put music together in a unique and compelling way. 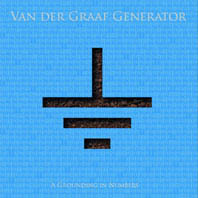 Posted on March 14, 2011 February 23, 2012 by HalfEdgeMediaPosted in Album ReviewTagged Van Der Graaf Generator.